Engineering Innovation (Eii) was awarded the USPS Mailing Innovation and Digital Award for the Great Lakes Area. 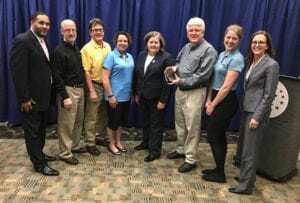 The award was presented by Postmaster General Megan Brennan at the 2017 National Postal Forum. The National Postal Forum, the largest annual trade show for the mailing industry, is a four-day event held every spring. It attracts over 4,000 industry professionals from USPS executives, leaders of the mailing and shipping industry, and the industry’s major suppliers and partners. 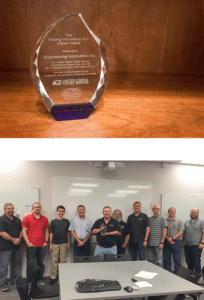 Don Caddy, COO of Engineering Innovation, accepted the award on behalf of the numerous Eii team members who helped create the ground-breaking new LightSort Parcel-Sorting System.  This award is presented to customers who have demonstrated creativity by finding new methods to use the mail to drive significant business results and mail growth. They have taken a calculated risk by using the mail in new and innovative ways to help achieve their business objective with successful and quantifiable results. Engineering Innovation, Inc., located in Lafayette, IN, specializes in postage saving solutions. Its offering includes letters, flats, and parcel solutions for all size mailers. Engineering Innovation is the creator of the EZ-Flats manifesting system, which simplifies presorting flats for automation discounts. Engineering Innovation designed its latest offering, LightSort, for a customer who wanted to increase throughput and reduce errors when sorting lightweight parcels and poly bags. LightSort is quick to assemble, intuitive to operate, and is flexible to simplify changing sorting configurations. For operations that have ongoing changes in sorting requirements, customers can move racks easily into different arrangements and bin locations, and instantly re-designate them with new sort plans. LightSort features a wireless ring scanner allowing a hands-free operation that reads barcodes from any angle. To speed up changing out full bags, Engineering Innovation designed LightSort to hold up to 15 bags per location. Through the LightSort Systems low-cost technology, Engineering Innovation has shown that automation doesn’t have to be expensive. Congratulations to everyone who worked hard to create this innovative new product! Leran more about the LightSort here.